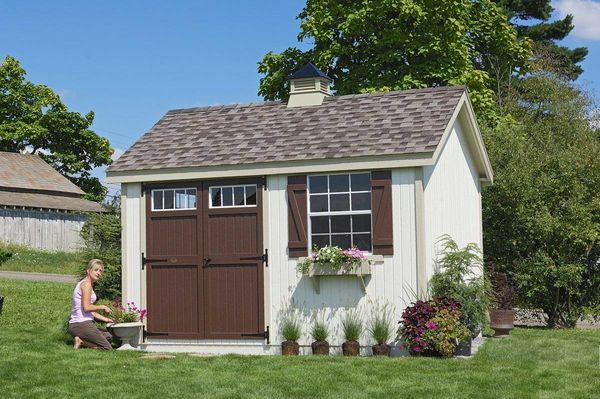 Finding a quality, charming storage shed has never been easier with the Colonial Pinehurst Storage Shed. This 8 x 8 garden shed has six-foot high front and back walls, panelized wall sections, and a 30-inch by 36-inch window with glass, screen, and grid. The colonial style doors have large hinges and a locking door latch to secure your shed. The Colonial Pinehurst adds beauty, style, and value to your backyard with its amazing attention to detail.